Well it’s done! 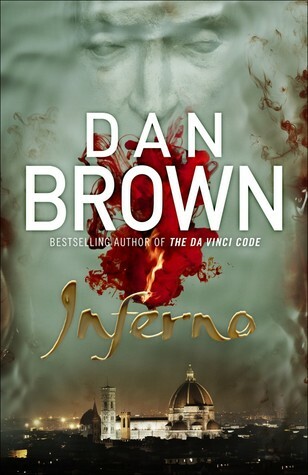 Finally finished Dan Brown’s new bestseller Inferno. I read this 463 page book in three days. Yeah I know I’m on holiday, so I won’t brag too much about that. I thought that reading this book in Italy would help me get into it even more. Well it did but not for the reasons you’re probably thinking. First of all, I wished I was vacationing in Florence because that would have been perfect, being able to see all those fantastic places with a twist. Even though, the thing I loved was all the Italian spoken in the book. I could practically hear myself saying the lines in Italian with a great accent. Brown has a way of constructing an interesting story, while touching on some relevant topics, which introduces the reader to secret societies and all rolled up in dark suspense with a dash of art and architecture. His books are becoming the new travel guide. Robert Langdon is still the loveable intellectual professor of symbolism who has gotten himself into another mess. We can’t help but love him. Isn’t this cover stunning? Love it! It’ the UK hardcover edition. Inferno is basically fuelled by the real Inferno by Dante, which is the first book in his Divine Comedy. It is followed by Purgatorio and Paradiso. Now somehow I got out of university as an English literature major without having to read The Divine Comedy and I’m just a little ashamed to admit it. After reading Inferno, I suddenly found myself being more interested about his work. The mystery behind Dante and his life are explained in-depth and you will definitely be tempted to read The Divine Comedy too or at least to visit Florence. So, does it sound like I’m over the moon about this book? Well not really. I gave it a modest three stars on Goodreads. It’s very predictable in places, writing style isn’t stellar(reads like a movie script), similar format to all of his other books (i.e. short chapters and info/history/fact followed by suspense. Does this mean I’m going to stop reading Dan Brown’s books? No, absolutely not. For some reason I can’t resist the way he mixes intrigue with secret societies, symbolism, architecture, and fabulous cities like Florence. Read it if you want a good escape. It’s perfect for that! Inferno was my least favorite Brown book. I read digital fortress years ago and I thought it was just OK I would probably put it just above Inferno. I find myself oddly drawn to his books even though I find him a tad pretentious! I can’t explain it. They can be but I like the way he mixes intrigue, architecture, art, and secret societies. I do love the secret society part. They give me the creeps in a good way! Me too a little, but what I love the most is the architecture and art. Fantastic! Have seen a few people reading this on the beach this summer! My big fat read was Americanah and I loved it! Really need to get to it now that I’m back from Italy. Hi, sounds like summer read. Would you compare it to Agatha Christie or Arthur Conan Doyle in terms of Intrigue and place it in the 1000 books to read ? Brown isn’t my favorite, but Italy is! I love to bring books along on trips that are about the place I’m visiting. Beautiful photo, thank you! Glad you liked the photo. Yes, I meant the photo on your next post! Florence is beautiful. I’m in love with Sicily (my father’s homeland) and I like the chaos and excitement and variety of Rome. I would love to visit Sicily one day too. I just can do without the Italian crazy driving. That’s just scary!